The Demon Tide is a Pureblood Heartless that appears in Kingdom Hearts 0.2 Birth by Sleep -A fragmentary passage- and Kingdom Hearts III. It is a mass of Shadows in a wave-like formation. The Demon Tide attacks Aqua and King Mickey when they arrive at the remains of Destiny Islands and investigate the door inside the Secret Place. It is defeated by the two Keyblade Masters, but returns to hunt Riku shortly after they find the Kingdom Key D behind the door. Aqua and King Mickey rush to Riku's aid, and Aqua attempts to restrain the Demon Tide with chains of light. The Heartless breaks free, and it drags Aqua back to the remains of Destiny Islands, destroying Mickey's shirt in the process. As Mickey helps Sora and Riku seal the Door to Darkness, Aqua battles the Demon Tide and promises to help anyone else who falls into the Realm of Darkness. Shortly after their arrival in Twilight Town, Sora, Donald, and Goofy, they spot a Demon Tide chasing Hayner, Pence and Olette. Sora, Donald, and Goofy fight against it, but the Heartless retreats before it could be vanquished. After Terra-Xehanort is repelled by Donald's Zettaflare at the Keyblade Graveyard, a massive Demon Tide appears and swallows King Mickey, Kairi, Donald, Goofy, Ventus, Aqua and Lea, scattering them throughout the worlds for the Lich to take their hearts. Riku attempts to fight back against the Heartless to rescue their friends, but both he and Sora are swallowed as well. However, thanks to Kairi's light, Sora ends up in The Final World, where Chirithy helps restore him. Using the power of waking, Sora is able to save his friends and return to the moment Terra-Xehanort attempted them. When the Lingering Will repels Terra-Xehanort, Dark Riku and Xigbar takes his place and summons a horde of Heartless and Nobodies as a final test for the guardians of light. 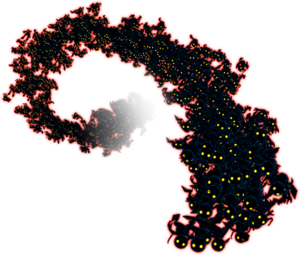 Unfortunately, a new Demon Tide appears and goes berserk, swallowing up the rest of the Heartless and Nobodies to strengthen itself. Sora charges bravely into battle, being contacted by the spirit of Ephemer, who assists him by summoning the Keyblades in the graveyard to help fight back the Demon Tide. With the power of the Unions, Sora is able to reach the core of the Demon Tide and destroy the Heartless. Much like the Demon Tower, the Demon Tide is a swarm of Shadows. It is large, travels in waves, and has a core that glows violet or orange. The Demon Tide has two forms. The first is a large wave of Shadows. When it takes enough damage, it plunges this wave into the ground. This turns the entire area in shades of red and black. When it re-emerges, it takes the form of a tornado of Shadows with an orange core at its center. When the Demon Tide takes damage, individual Shadows will fall out of the swarm and disappear. 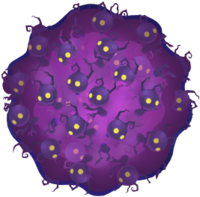 Many of its attacks also comprise of launching individual Shadows, which disappear after impact. The Demon Tide is the final boss of Kingdom Hearts 0.2 Birth by Sleep -A fragmentary passage-. As such, it is resilient. Aqua should be sure to have many items equipped before she faces this Heartless. This boss initially has access to three attacks: a soaring strike, a Shadow trap, and an assault from underground. Each of these can be avoided with a well-timed Barrier, and a quick Counter Blast can then be used to damage the boss. Aqua can tell when the Demon Tide is about to attack by watching the eyes of the Shadows that comprise it: when the eyes glow red, it means the boss is about to strike. Aqua should avoid the Demon Tide in these instances and use a combination of physical attacks and magic to harm it in the interim. Whenever the Wayfinder Situation Command becomes available, Aqua can use it to immobilize the Demon Tide and quickly deplete its HP by teaming up with King Mickey. The Demon Tide becomes much more aggressive in an attempt to protect its vulnerable core. Added to its arsenal is a new projectile attack that is best avoided with Cartwheel. It switches between this and a another attack, in which its tornado of Shadows glows red and rushes Aqua. During this attack it retreats every now and then, giving Aqua the ability to use Barrier again. If Aqua stands too close to the edge of the map, it might not retreat far enough. In this case the attack is continuous. When its health gets even lower, the Demon Tide warps away its core while its tornado remains. After this, invulnerable orbs made of Shadows will be launched from the ground at random. If this happens, Aqua should Cartwheel around as much as possible to dodge these. If she is hit, the orbs will launch her into the sky, where she is a risk of being hit again by other orbs. These can be avoided with Air Slide, although this becomes more difficult as Aqua falls towards the ground. At the end of the attack, the tornado increases in size and whirls around the entire arena, limiting Aqua's movements. When the Demon Tide is not using any of these attacks, Aqua should enter the tornado and bombard the Demon Tide with aerial combos until its HP is fully depleted. The Demon Tide starts off vulnerable to attack but only for a couple of seconds until it goes into its initial attack. The Demon Tide can't be stunned and its next attack cannot be prevented. Its initial attack can either be flinging Shadows at Sora, charging at Sora three times, or diving into the ground and coming up from beneath Sora. If it is flinging Shadows, dodge roll around it. If it dives underground, dodge roll just before it reemerges. If it charges then use Guard and a Reprisal to attack. However, guarding on the third charge can leave Sora open for its next attack. Once you have dodged all three, the Demon Tide will leave itself open for attacks, but will reenter its attack phase after it receives a few combos. During the battle in Twilight Town, the battle will end after two HP bars have been depleted.